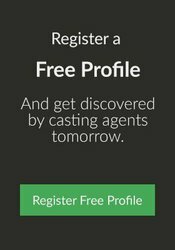 Whether you are someone who wants to break into TV or Film, or you are already an experienced actor, one way to get more on-set experience, network, learn more about the industry and earn some extra cash is to get involved in some “Extras” work. Being an extra means, you are hired to be on set to fill up the environment and make the scenes look more realistic. Do you know that a movie would be nothing without extras? Every single person that you see in a film in the background has been specially chosen to be there. So many stars such as Brad Pitt, Renee Zellweger, Sylvester Stallone, Clint Eastwood all made their appearances as extras before they moved into more significant projects. If you want to know more about being an extra or get some tips on how extra work could be useful for you, then keep reading! Learn the “On-set” language! “Rolling”, “Background Action”, “Back to one” all this and more you will become fluent in! and it’s like you are getting paid to be trained if it’s an industry you want to work in. Opportunity to build relationships that could lead to life-changing opportunities. Sometimes extra work can lead to featured roles (don’t go on set expecting to be selected for a featured role, but know it is possible). Extra cash is always a bonus, and if you’re looking for further training as an actor, you’re getting paid to learn. When you have time, observe and take notes and take the opportunity to learn as much as possible. You'll find all that you “waiting around” has been turned into a great productive day, and you understand the process of filmmaking a little more than you did when you first arrived! Understand that even though shoots may involve long hours, see it as a great experience and if you show a positive attitude someone may see your great efforts and offer you a great opportunity in the future. Listen well to instructions and take direction. Don’t talk when the camera is rolling. No looking directly in the camera. Don’t try too hard to be noticed as this can lead you to be pushed further to the back. Be mindful of taking behind the scenes photos, asking for photos or autographs as sometimes this is not allowed. Whatever you do, don’t be like Phil and Gloria from Modern Family in the hilarious clip below! Background experience gives you the confidence and accurate insight into an industry that could potentially become your full-time future if you are interested in it. Many background work opportunities are available on Mixfame, enjoy it and have fun. If Sylvester Stallone, Brad Pitt, Clint Eastwood, Renee Zellweger, Megan Fox and James Dean, all made one or more appearances as movie extras before they made it big in Hollywood. If they did it, why can't you? You never know what could happen! Your headshot is important, here's why!